We are counted among the key Manufacturers and Exporters of Straight Spline Hobs in India. Straight Spline Hobs, offered by us, are manufactured from the finest quality raw materials to add efficiency and strength. Our Straight Spline Hobs for Power Take Off PTO Shafts are designed according to DIN 9611. Offering a wide range of Straight Spline Hobs to our valuable client in different specification to meet the diverse requirement of client. Our range undergoes various quality parameters, which are conducted by the quality controllers of our firm. These are made from high quality raw material. We are instrumental in providing to our valuable customers excellent quality of Spline Hobs (SH-02). These hobs are fabricated using the finest quality raw material and advanced technology under the supervision of skilled professionals. These hobs provided by us is known for high performance and low maintenance and are offered at affordable price and delivered within the desired schedule time. We manufacture and supply spline hobs, that are used for cutting all kinds of standard as well as non standard involute splines. Designed with precision, these spline hobs are available in different grades and specification to suit varied application needs. Further, we also make sure that these are in strict compliance with the prevalent industrial standards. Material: M-2, M35, T1, T2, M4, T5, ASP 30 etc. We are offering Spline Hobs for our customers. 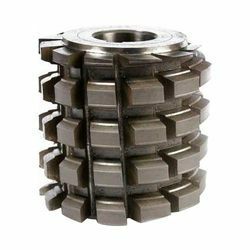 These are offered for straight sided involute and serrations and are extensively manufactured in machine relieved form. 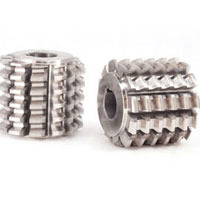 We have the expertise to manufacture these as per the requirement of the customer at industry leading prices. We offer straight spline hob that are used for cutting parallel spline. These are manufactured with or without lugs, semi topping and shoulder clearance types. Straight Spline Hobs are used for cutting parallel splines. These are manufactured with or without lugs, semi-topping and shoulder clearance types in Class 'AA' & 'A'. We are passionately engrossed in manufacturing and supplying an exclusive array of Spline Hob. Special multistart hobs for components having block teeth like indexing splines. Straight side spline Hobs manufacturing according to DIN, BS, ADI, specifications of any standard profile. Types of profiles - lugs type, semi topping, finish with shoulder Clearance Type and Non topping etc. For generating parallel or angular splines; straight or helical splines offered with profile modifications like semi topping, undercutting, shoulder clearance, etc. Finishing or pregrinding hobs are offered with precision unground or ground profile depending on component accuracy requirements. Max module 4, dia 80mm, face width 300mm.